Looking youthful is synonymous with gorgeous glowing skin. It’s just the truth. When our skin looks better and healthier we simply look younger. But what makes youthful skin look so flawless? It’s the collagen. Collagen is the protein in skin that gives it strength, smoothness, elasticity and youthful appearance. It is found throughout our body’s connective tissues including cartilage, tendons, bones, and ligaments. But it also keeps your skin elastic, smooth, hydrated and wrinkle-free. But once we hit our 20’s the collagen levels in our skin and body begins to drop by up to 2% each year. And age isn’t the only thing that affects your collagen levels. Exposure to the sun’s UV rays, cigarette smoke, and environmental toxins can all wreak havoc on our skin making it look tired, dull and aged. Research has shown that supplementing with collagen works. Taking collagen can increase skin’s hydration, strength, and elasticity and then stimulates your body’s own collagen making cells. The result is longer nails, shinier stronger hair, and radiant skin. Sign me up! 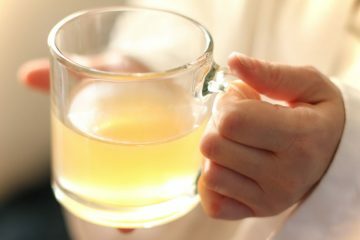 Not only can taking collagen help to reduce reverse external signs of aging like wrinkles, fine lines and sagging, but it can also help improve bone health, joint mobility and help to heal the lining of the gut for improved digestion. But who are we kidding? We want our skin to look gorgeous and everything else is an added bonus. 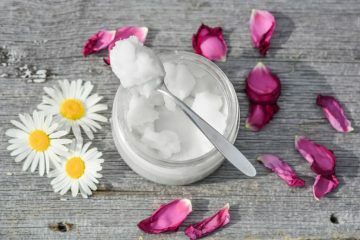 But what about topical beauty creams? They’re not going to do the trick. The molecules are too big to be absorbed and simply sit on top of the skin. Collagen needs to be taken internally to work. It’s a beauty tool that works from the inside out. If you want to get collagen in your beauty routine, but you’re always on the go it can be super easy. That’s why we love Glamour Nutrition’s Collagen. Most collagen supplements come in powder form with a scoop similar to protein powder. Not too convenient. 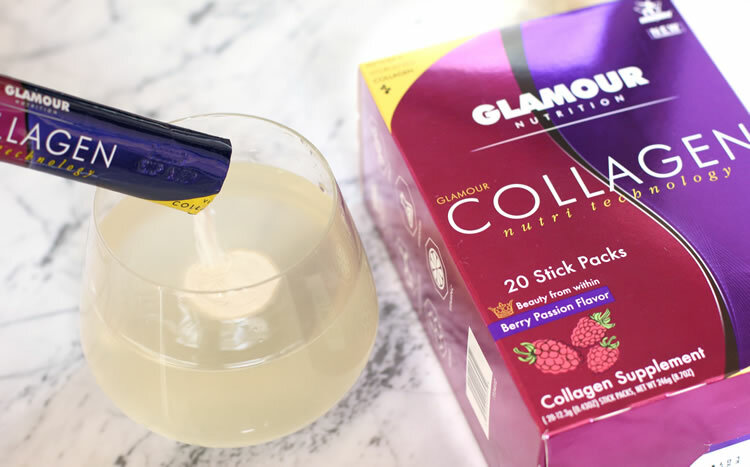 Glamour Nutrition’s Collagen comes in convenient stick packs in a box of 20 that you can easily fit into your purse, gym bag or backpack and take them with you. While you’re on your way out, just pour the pack into a glass or bottle of water, stir or shake and you have your boost collagen for the day. Each packet Glamour Nutrition’s Collagen delivers a hearty 10 gram (10,000 mg) dose of high-quality Hydrolyzed Peptinex B Collagen protein composed of 18 major amino acids, with the highest concentration being glycine, proline, and hydroxyproline. Your body’s own collagen making cells called fibroblasts only start to fire up around 6,000 milligrams of collagen peptides so Glamour Nutrition has you covered. And hydrolyzed collagen is collagen that has been made into smaller protein compounds called peptides. These smaller collagen molecules don’t need to be broken down by the digestive system and are much more easily absorbed into your system. They then travel through the bloodstream as important building blocks for new fresh tissues, including fresh renewed skin. And the result: youthful glowing skin, stronger nails, thicker hair and better bone health. Taking collagen has also known to decrease the appearance of cellulite. 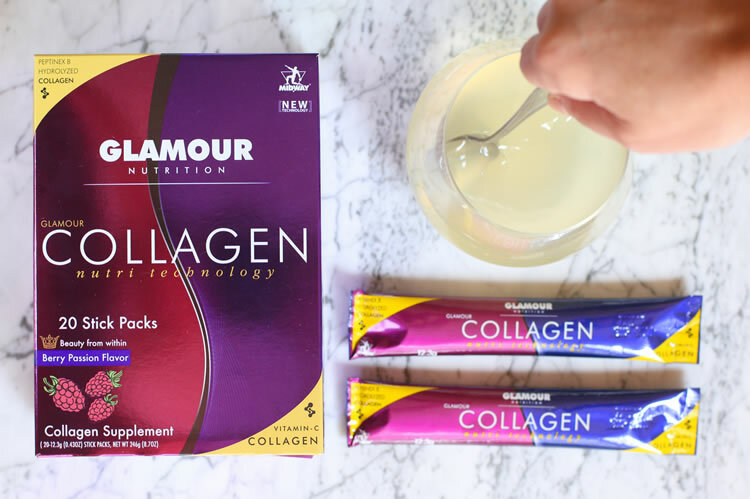 The great part about Glamour Nutrition’s Collagen is that it isn’t just collagen. It also contains 75% of your RDA of vitamin C, which not only helps your body to absorb the collagen but also activates your body’s own Collagen making engines. Vitamin C is also a great booster for the immune system. Glamour Nutrition Collagen also has something else most collagen supplements out there don’t have: a great taste. It comes in a yummy Berry Passion flavor and easily dissolvable in cold water. Drink your daily dose all at once or add it to your water bottle throughout the day for a nice flavor and protein boost. Incorporating Glamour Nutrition Collagen into your diet and lifestyle, and you should start to see a difference within a week of use. With a month or more of continued use, benefits can be really amazing. I made a firm commitment to take collagen once a day and I’m already seeing results after only a short time. My nails do appear to be starting to grow faster and stronger and I think my skin does look a bit more hydrated. With all the other great benefits collagen offers this one is definitely a keeper. And I love that I can pop Glamour Nutrition Collagen right in my water bottle on the way out of the house. It’s beauty from within made to-go. How sweet is that? I can’t wait to see what beauty benefits are yet to come. 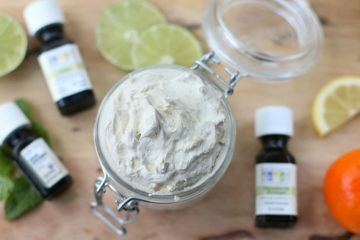 Want to get your skin glowing in a hurry? 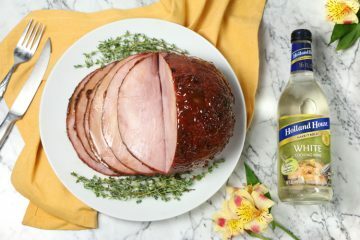 Visit GlamourNutrition.com to get a high dose of collagen you can take with you on the go!